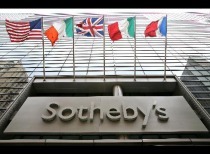 Why Choose Sotheby's International Realty to sell your home? SELLERS receive several compelling benefits from the Sotheby's International Realty® network, given that the market for properties is not only both local and national, but increasingly global. Through our broad-based marketing opportunities and international presence, we provide maximum exposure for our listings, reaching qualified buyers regardless of where they are based. This positions our listings in a heightened competitive environment, allowing our sellers to achieve the most favorable price. Beginning with its establishment in 1744, the Sotheby's auction house has earned a reputation for a keen eye in the valuation of fine possessions. Continuing this fine tradition in exceptional real estate and professional seller services, brokerages within the Sotheby's International Realty® network represent many of the world's luxury houses and estates. We see in every relationship and every transaction an opportunity to extend the centuries-old Sotheby's reputation for distinctive properties, prestigious heritage and, above all, the highest level of service.